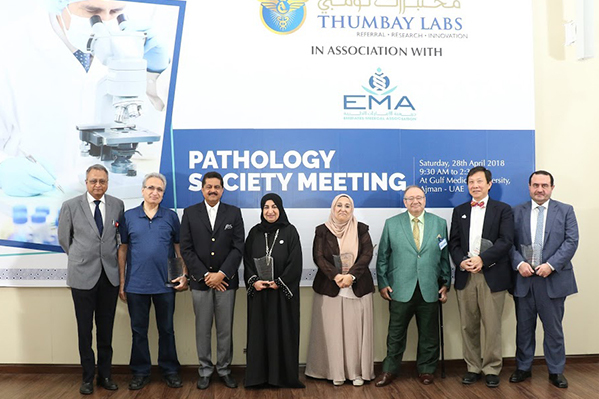 Leading pathologists in the UAE were honored and the latest trends in pathology were discussed at the Pathology Society Meeting, a gathering of renowned experts in pathology organized by Thumbay Labs in association with Emirates Medical Association (EMA). 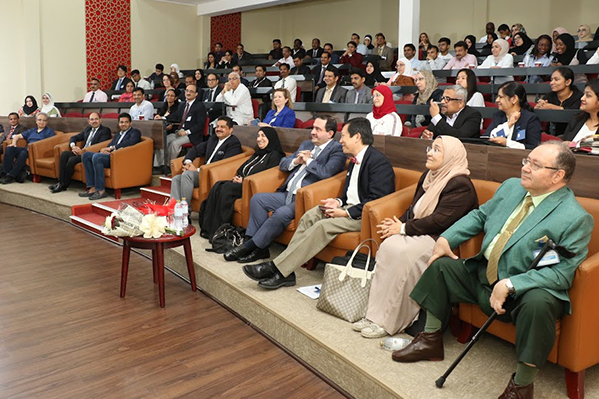 The event was held at Gulf Medical University (GMU), Ajman. Dr. Mouza Al Sharhan delivered the concluding remarks. 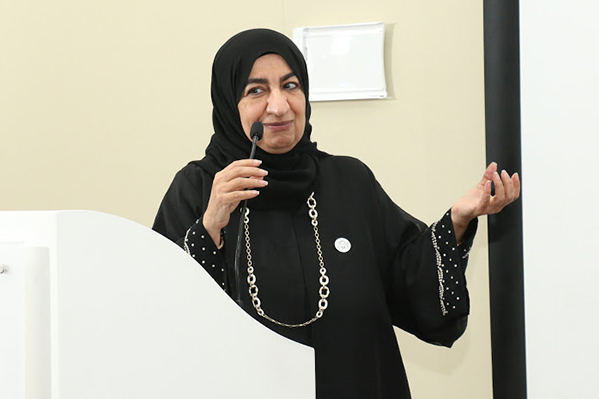 She lauded Thumbay Labs for taking the initiative to organize the program, and said that the event was an excellent scientific program, with the best selection of topics, to keep pathologists updated about the challenges and trends in the field. “I was particularly happy to see many young medical students among the audience. For them, I’m sure the discussions were an ideal opportunity to understand pathology better and in depth,” she said. Touring the central lab of Thumbay Labs at Gulf Medical University as well as the University’s advanced research facilities, Dr. Mouza said that she was impressed by the “dramatic” advancement. “I am happy to see that Thumbay Labs has significantly developed its facilities, technology and scope of services,” she said. Dr. P. K. Menon, Director & COO of Thumbay Labs said that the brand was poised to be an important player in the diagnostics industry of UAE and the MENA region. “We are undertaking our next phase of expansion by introducing new technologies which will position us as the best-equipped lab in the MENA region. We are looking for collaboration so as to enhance lab quality, productivity and profitability of partnering laboratories,” he added. Thumbay Labs is the leading network of private diagnostic labs in the region. Owned and operated by Thumbay Group, Thumbay Labs offer a wide portfolio of advanced tests, and is regarded as one of the most trusted names in diagnostic testing. It is the largest chain of private diagnostic labs in the UAE, and is among the largest service providers in terms of the range of tests available, the number of diagnostic tests done and revenue. With College of American Pathologists (CAP) accredited laboratories in Ajman, Dubai and Fujairah, Thumbay Labs has become one of the largest chains of CAP accredited private labs in the region. In addition to the UAE, Thumbay Labs also operates in Hyderabad, India. Thumbay Labs has plans to further expand to new locations in the Middle East, Africa and India. According to the strategic plans of Thumbay Group, 25 Thumbay Labs would be operational worldwide by 2022, making it the biggest chain of private diagnostics labs in the region.